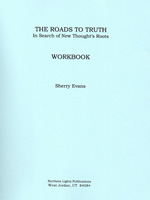 The Roads to Truth is a journey through the historical, philosophical, psychological, and religious origins of the many truths synthesized by the founders into the philosophy known as New Thought. Words of Love For Men by Wendy and Mark Cicchetti is highly recommended by marriage counselors and therapists. It is an easy to use guide that uses metaphysical principles to show new ways of nurturing all relationships. By using these empowering tools as outlined, new levels of joy and satisfaction are experienced as all personal relationships improve. Alcohol, Drugs, and Family Healing : What Are You Going to Do about That? This is the story of one family's experience with a loved one's irresponsible, painful, unpredictable behavior Âand the path that led that family to sanity. Filled with both personal accounts and proven methods from the author's experience as a specialist in the drug and alcohol recovery field, this guide has helped hundreds of families heal and reclaim their lives. >> Alcohol, Drugs, and Family Healing : What Are You Going to Do about That?